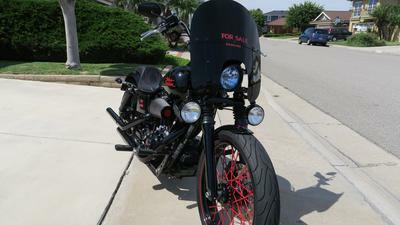 The 2014 Harley Street Bob For Sale by Owner has a blacked-out, quick-release windshield, a low profile black gas cap and fuel gauge,Woods TW-777 cams, C&C motorcycle seat, 21x3.50 front wheel, Powder coated hubs, spokes. 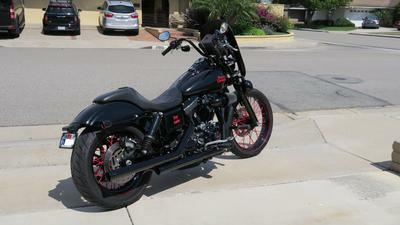 The Harley Davidson Street Bob has Vance and Hines Straight shots, slipon exhaust with powder coated heat shields. Go here to see more The Street Bob has just 5700 miles on it right now. 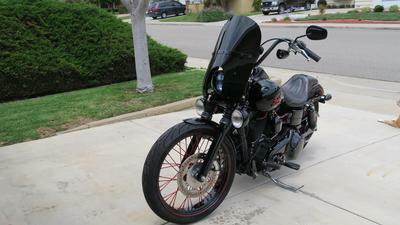 The 2014 Harley Street Bob For Sale is in Huntington Beach , CA California USA and priced at $14,900. If you have questions about the street Bob or any of the aftermarket add-ons or accessories you can contact me using the comments form provided by GoGoCycles Used Motorcycles for Sale.